As of 2007, there were an estimated 3,718 children ages 0-5 living in North Lawndale. As of 2008 there were a total of 514 center based slots for children ages 0-2 and 900 slots for children ages 3-5. In addition, local elementary schools offered 1082 slots for preschool programs. Licensed family care homes also provided 690 slots to children from 0-12. While North Lawndale has a wide variety of early childhood offerings, access to these resources is limited. Despite significant community demand, there is a major shortage of licensed slots for children ages 0-2 (one slot for every five children). 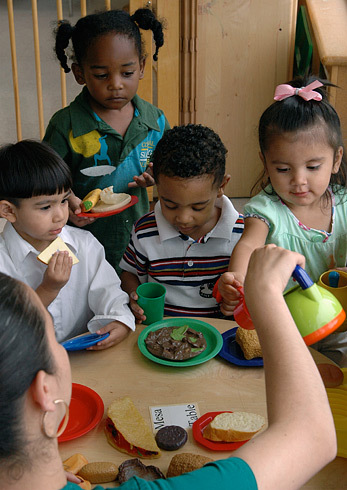 Although there are sufficient preschool programs for children ages 3-5, not all families are able to access these programs due to a number of factors such as the part-time hours of some programs, the non-traditional work hours of parents that conflict with care arrangements and conflicting eligibility criteria. There are a number of promising opportunities due to the availability of stimulus funding of the Head Start program, additional proposed federal early childhood funds, and the expansion and development of the new Marcy Newberry Center facility. The Foundation aims to support quality existing programs to expand the quality of programming to a wider range of children. If you are a parent seeking child care, please contact Illinois Action for Children at (312) 823-1100. You can also contact the center directly. Maps courtesy of Illinois Action for Children.